Forgot you have friends coming over? No worries, make these tasty twisters in a nick of time and enjoy them with a few great dips. Cut the 24 croissants along the dotted lines. Cut the herbs well and put them aside for now. Roll out the croissants a little with a rolling pin upwards, so that they get a little bit longer. Coat the dough with a bit of olive oil. Sprinkle cheese and herbs on each individual piece and twist into a stem. Place the stems on a baking sheet in the oven. Bake the stems for 8-10 minutes. 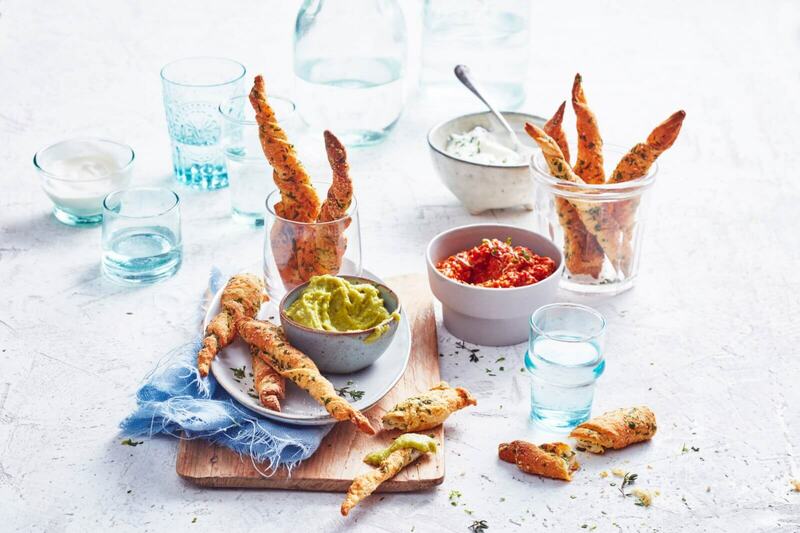 Let the stems cool down slightly and serve with dips of choice.